The Boston Public Library is asking for the public’s help to transcribe 12,000 antislavery manuscripts, including correspondence from such abolitionists as William Lloyd Garrison and the Weston sisters. One of the library’s most popularly searched collections, the antislavery manuscripts include letters, newspapers, pamphlets, and more from abolitionists speaking out against slavery in the mid-19th century. The documents are already housed online in Massachusetts’ library database. But because the documents are handwritten, there’s no way to search their content. Transcription would change that, Content Discovery Manager Tom Blake said. But it isn’t a task that can be done by a machine. “The only way to do this is, you need an actual human brain and human fingers,” Blake said. The library partnered with Zooniverse for the project, a Web platform that helps crowdsource “citizen science projects,” according to its website. To account for errors, at least three people have to transcribe the same line of a document before it’s accepted, Blake said. Blake said he hopes being a part of the process will help participants connect with the documents on a deeper level. “It’s one thing to read these letters, but to actually sit down and meticulously transcribe them, it’s to commune with them,” he said. Beth Prindle, head of special collections, added that the documents don’t just connect people with the abolitionist movement. “These are people who are also talking about life during that period, local politics, and the weather,” Prindle said. 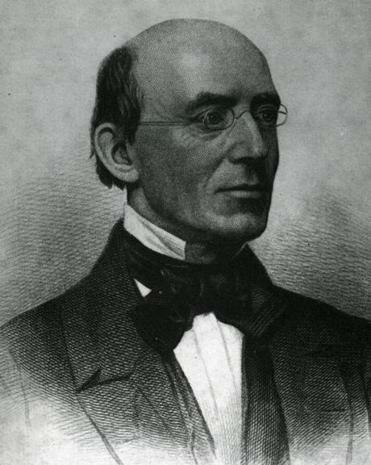 The library’s collection began with a donation from the family of William Lloyd Garrison in the late 1890s. Garrison was the editor of the abolitionist newspaper “The Liberator,” making him an integral voice of the movement. Following the Garrison family’s donation, the families of other late abolitionists also began contributing to the collection. Though abolitionists didn’t always agree on whether women should be a part of the movement, Prindle said the collection also includes lots of manuscripts written by women. The Weston sisters, for example, were sisters from the South Shore who were prominent abolitionists. The Weston family was also among those who made large manuscript donations to the library. “So you have also this feminine perspective of this movement,” she said. People reading and transcribing the manuscripts will find that many of them have local connections. Prindle says Boston was “a hotspot” for the abolition movement in the 19th century. To help transcribe the documents, visit antislaverymanuscripts.org.